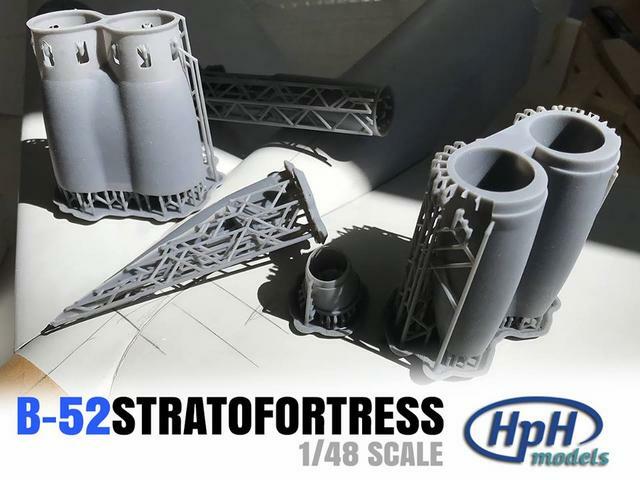 HpH is working on a 1/48th Boeing B-52 Stratofortress resin/fiberglass kit. They're mad, the whole bunch of them! Impressive! 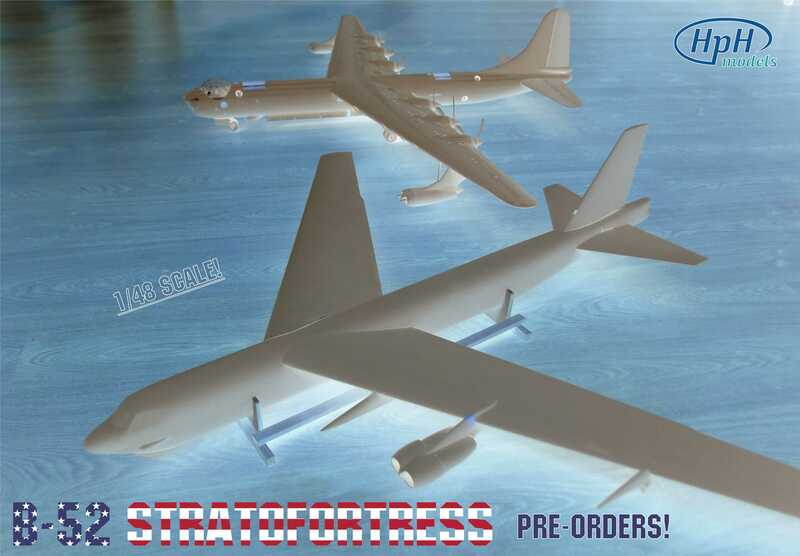 But I'm holding out for their 1/24 Spruce Goose. 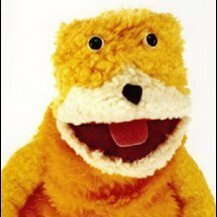 so soon it is Vacform against fibreglass! hope to see many BUFFs built soon! I think this laminate fibreglass version will win out over that vacuform offering in regards to accuracy. Would have liked to have seen a D tall tail version but this H is the modern take and given the DACO book I can see why they went with this one. 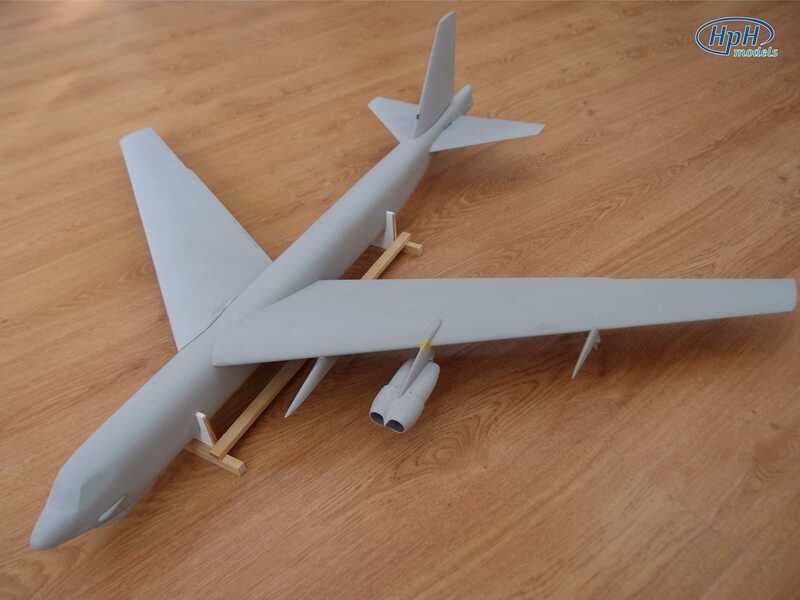 Would look good next to a Revell 1/48 B-1B, all you need is a B-2 in 1/48 for a complete Edwards AFB lineup. 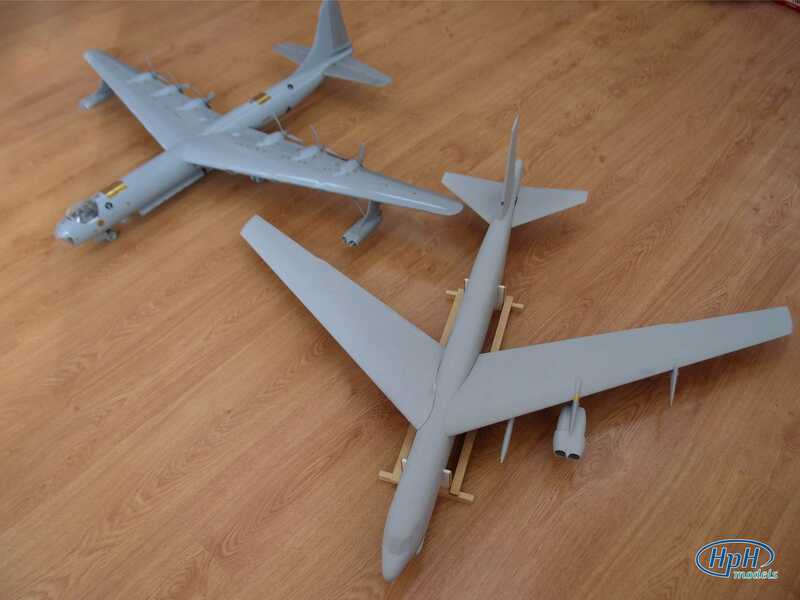 The B-52 is smaller than the B-36 (at least in wing span) so this would be easier to find room to display. Don't tell Tom, he's just taken delivery of one from Sanger! 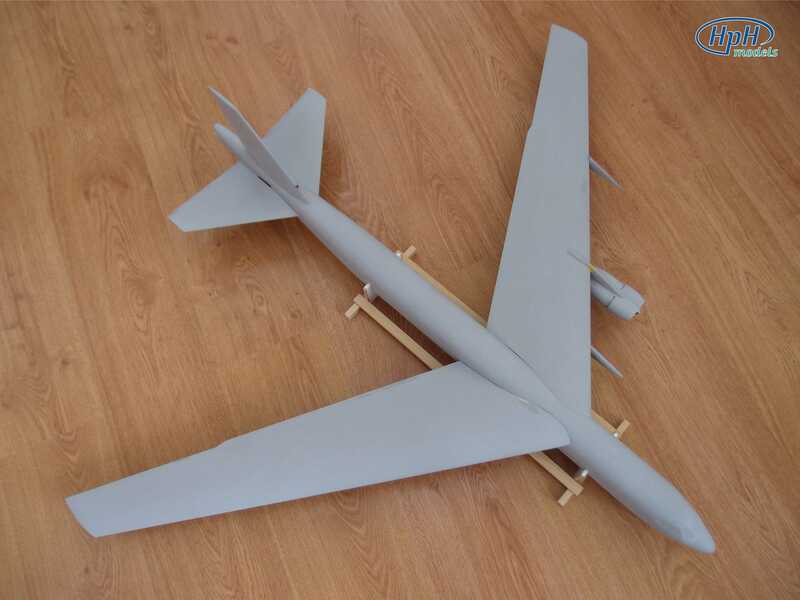 Would look good next to a Revell 1/48 B-1B, all you need is a B-2 in 1/48 for a complete Edwards AFB lineup. And a much larger house! But where is my Sukhoi T-4 in 1/48? I’m still waiting for it after the Concorde and XB-70. Story of my life... although to be fair the potential price of this release shouldn't affect Sanger's sales too much... plus building the Sanger kit will be much more fun! 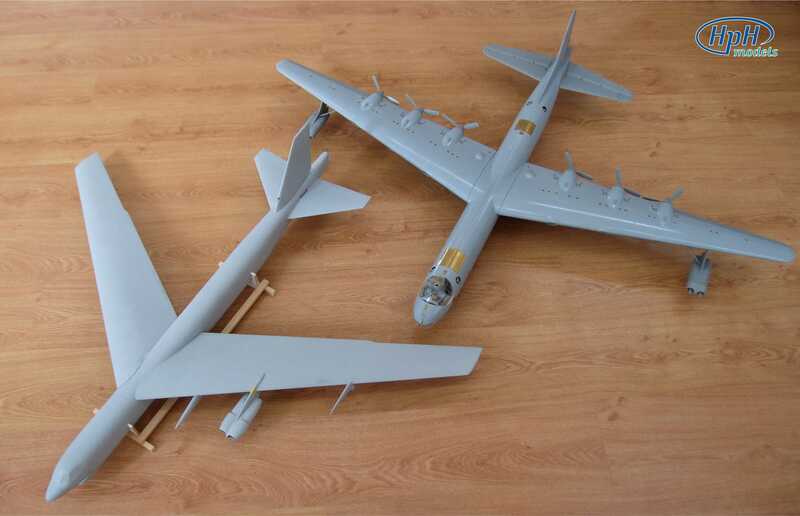 No one did a 1/48th injected B-36 before... a B-29 they have. 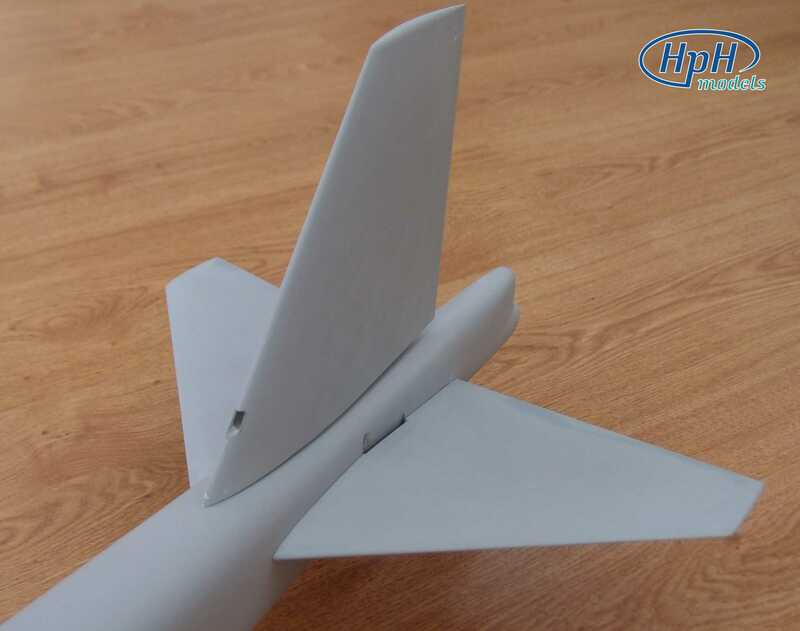 I'm wondering if we'll get any big Russian stuff in 1/48th from HpH and if we do I can see lots of kits going up for sale to purchase it/them! 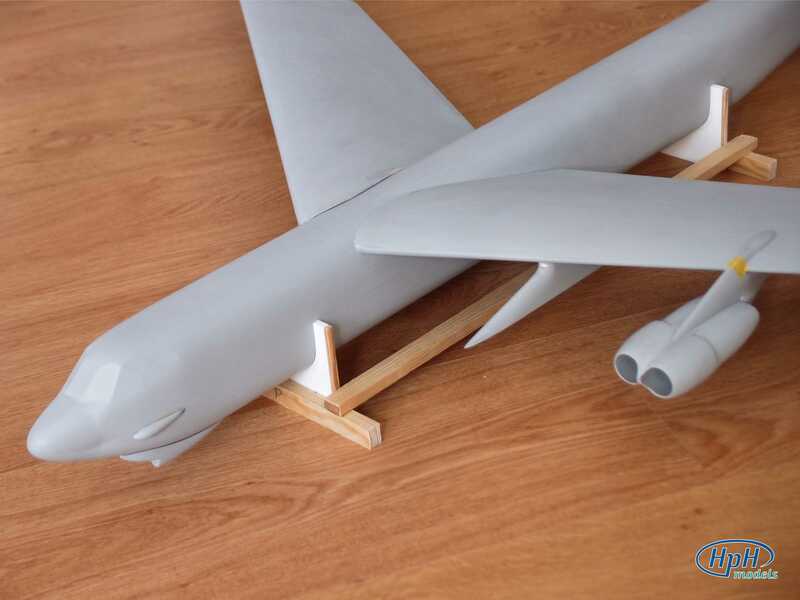 Following our successful 1/48 scale kits – the Concorde, the XB-70 Valkyrie and the B-36 Peacemaker particularly, our next project of this extreme model line, the B-52H, is in the process of preparation. Send us your order and once a 40% cash advance (310 Euro) is paid, you get to the list of BUFF buyers. This allows us to accelerate the work on the kit. Fibreglass main assemblies, detail parts of vacuum cast resin. Clear parts made of transparent resin. Accessories – photo-etched parts, metal parts, wet transfer decal sheet, painting masks. 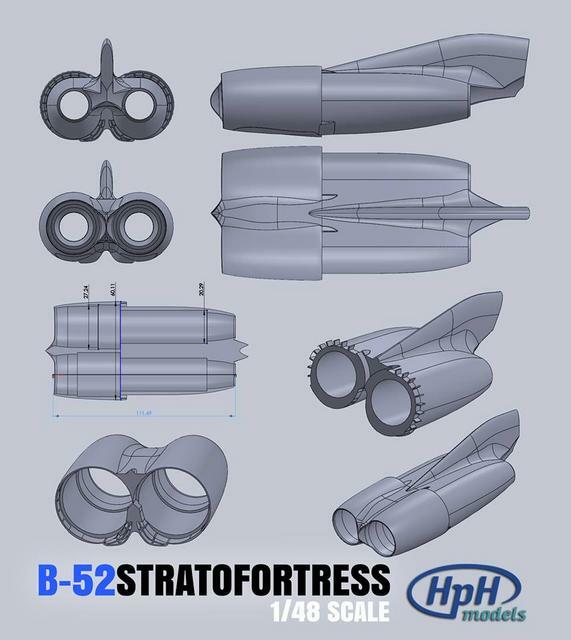 The usual standard of HpH models, as known from our former kits. 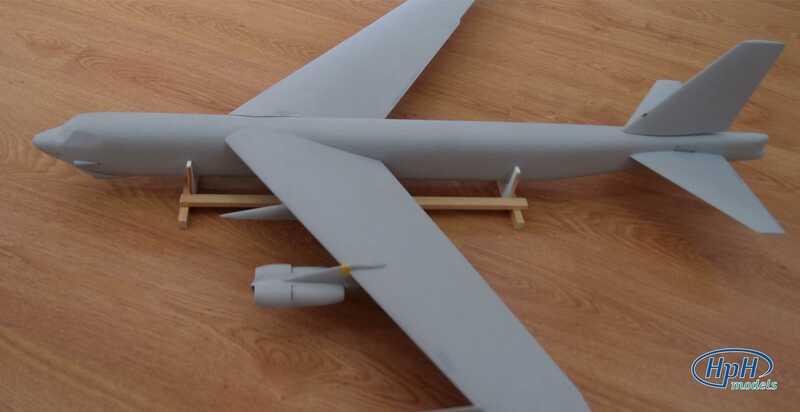 The kit will contain a complete interior, undercarriage, open bomb bay and bomb racks with a basic armament fit. A total price of the kit is 775 Euro incl. VAT. The kit's development will be finished in 12 months and first kits will be dispatched during March next year. 1, Complete maximum payload of “steel bombs“ including their appropriate racks. 2, Complete maximum payload of ALCM cruise missiles including the internal rotary launcher and external racks. 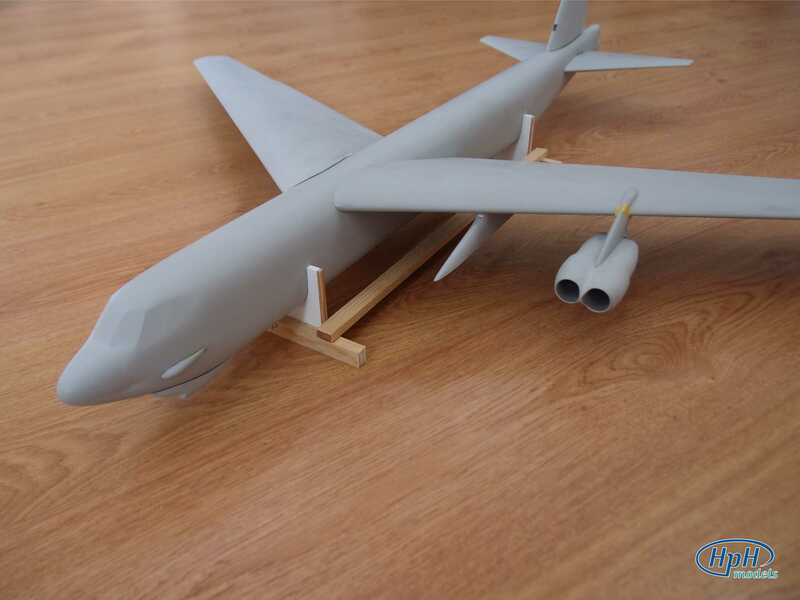 3, A huge landing flaps kit ( it is necessary to order this kit simultaneously with the B-52 kit in order to prepare the basic wing parts for the flaps installation. It is possible to pre-order the kit via our e-shop site or just by sending an order to info@hphmodels.cz. The order confirmation will be sent including a presumed delivery date. You will be also regularly informed about works progress and topical “news from the bench”. Your ideas, opinions and feedback will be truly appreciated. If some of the information changes, do not forget to inform us. Next few photos of B-52. Note the wing surface. 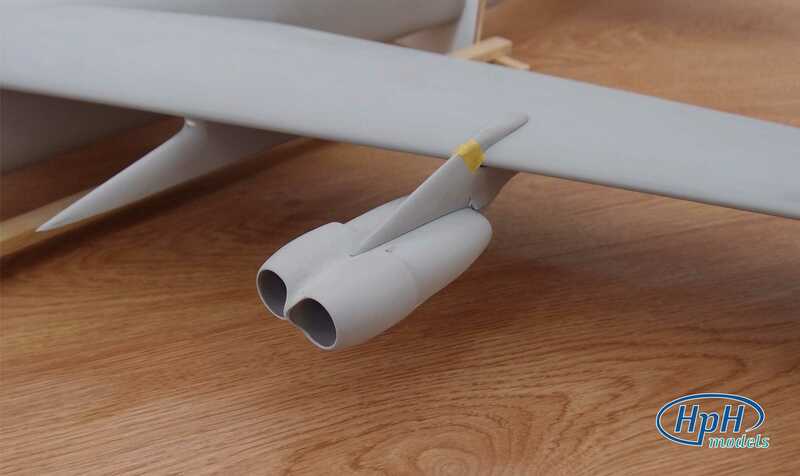 Engine nacelles, due to their complexity, are created using a 3D printing technology. Ever since the AMK incident, even my ripped abs start to shake vehemently everytime I see the word PRE-ORDER on anything related to modelling.